Several major WHO areas of work are advocating for action on health determinants, each with varying degrees of explicit reference to HiAP. 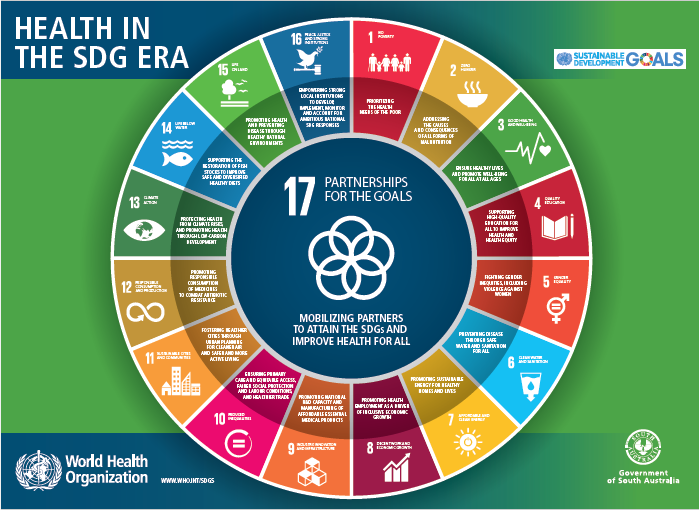 WHO provides a set of aligned international health frameworks for anchoring national HiAP work including: the Social Determinants of Health Action Framework (2016); the Shanghai Declaration on Promoting Health (2016) and Shanghai Mayors’ Consensus (2016); the Universal Health Coverage 2030 Vision (2017), the Health and Climate Action Agenda (2016) and OneHealth. Supporting dissemination of information on intersectoral governance for determinants of health equity and exchange of evaluated case studies through an intersectoral action database (Intersectoral Action Case Study Database for Health Equity (ISACS). To access WHO work on HiAP click here. To access WHO’s Perspective on Health in All Policies Experience click here.